The champagne corks are popping at home builder Better Built Homes Penrith office following the news that the company has won the 2019 Product Review Awards for the Home Builders Sydney & NSW category. Better Built Homes has been voted Sydney’s most trusted home builder for the second year running. The Penrith-based building company was recently named Best Home Builder Sydney and NSW in the 2019 Product Review.com.au awards, having previously taken out the category in 2018. Better Built Homes sales manager Jeff Dennis said it was an honour to win the award again. “We are very excited to announce that we have won the 2019 Product Review – Home Builders Sydney & NSW award for the second year in a row”, he said. “These awards are voted on by our customers, so it’s very gratifying to know that our hard work is seen and appreciated by them. “Our entire team takes great pride in ensuring that our customers receive the best possible service, are kept well informed throughout the building process and are able to move into the home of their dreams. “We would like to thank all of our customers for voting for us in these awards. 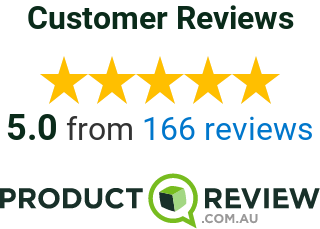 ProductReview.com.au is Australia’s leading consumer opinion website. It has four million visitors a month and received more than 275,000 reviews in 2016. The site allows Australians to share their experiences and read unbiased opinions about products and services across 51 categories. Its Home Builder category tracks more than 500 builders across Australia. The annual ProductReview.com.au awards are judged based on scores and feedback from Australian consumers throughout the year. Why not check out the reviews on www.productreview.com.au and read what our customers have to say.